When we speak Mac, we speak of security, simplicity, design & efficiency. That`s why Apple fans dedicated to life. Unfortunately, it doesn’t usually go the same way when we seek Mac-based accounting software. That`s cause almost every company develops their product for the broad market of PC. So it’s challenging to find accounting software that’s Mac-based. Still, this doesn’t mean a Mac user should be desperate. Because there are developers, who managed to create an excellent & fully functional accounting software that supports a wide range of business & provides access to both PC and Mac users alike. 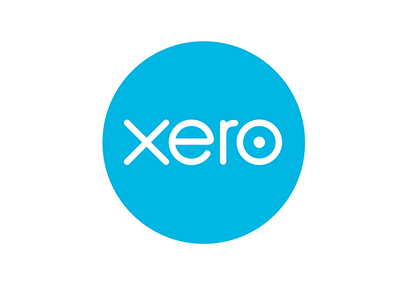 Xero is a Mac/Pc cloud-based software that is applicable online directly, so there is no wasted time on downloads and installations. And with smart pricing plans and an unlimited number of users provided, you can never skip on such a great product. It is supported by a good base of positive reviews and excellent customer support, which is so critical for Mac users, so it’s safe to call this part reassuring. Payroll: Reduce manual data entry and increase compliance with combined payroll and accounting. Go mobile: The Xero mobile app works with iPhone and iPad & Android phones and tablets. Easy invoicing: Create recurring professional invoices and receive updates when they’re opened. Pay bills: Manage your cash flow by scheduling payments and batch paying suppliers. Connect to 600+ apps: Inventory, invoicing, time tracking, expenses and more all integrate with Xero. Create purchase orders: Create an email custom purchase orders and copy to bills for payment. Claim those expenses: It’s easy to handle personal costs – review and approve receipts. These, among many other features, make Xero one of the excellent choices these days. All pricing plans are fully-featured with no dropping down the edges. With extra fees paid for payroll Add-on service. Starter: starts at 9$ each month. Premium: starts at 70$ each month with payroll added to 10 Employees and can be adjusted, also supports multiple currencies for easier international transactions. *Free trial included for all three pricing plans. All three plans support an unlimited number of users, and there is no long-term binding contract. You won’t find your self-bound by software that doesn’t suit your business needs or have to pay penalties for dropping out, which is a definite +. Pricing plans differ according to the region, so check out the list of region and countries supported. And that’s how Xero distinguish itself among the broad stream of financial software providers. The fully dedicated accounting solution that offers lead management and Mac user Based. During nearly 25 years, Accounting Edge was & still doing a great job providing robust accounting services for Mac users. And now with even more services and updates including an enhanced user-interface and web pay features, things are getting even brighter down there. So if you can afford the extra add-on fees and other hidden expenses, then Accounting-Edge/pro can become your best financial companion, with a wide range of services that hardly leave anything unchecked. The only drawback for some users may be the fact that Accounting-Edge is in its best shape when going on-premises. Means you need to download and install the software on your platform, which can be a hassle for inexperienced users. It`s not that bad if we consider the central aspect of on-premises types of software; besides the ultimate level of security, you can control your update sessions which is more budget friendly compared to its cloud-based rivals. Dashboard: a clean, organized panel that holds every critical service in the form of easy to use tabs. Time-Tracking: (pro edition) You pay for only for real-time working hours which is calculated accurately. Commission: (pro edition) commission rate can be set for every employee individually according to the payroll plan. Payroll: (pro edition) A robust Add-on this does everything you expect from a neat payroll software. Accounts payable: with automated bills payment you will never miss an unpaid bill. Bank reconciliation: Bank statements can be reconciled manually or imported in a QIF or QFX file. Inventory: (pro edition) a sophisticated expert managing your list including warranty tracking among many other useful details. Leads: Leads can be emailed directly without the need for third-party applications. Multi currencies: a fully customizable free multi-currency option. A significant feature of Account-Edge is the “Cards” feature which links brilliantly every sort if info including customers, vendors, employees or personal records with a single click. Other than that, every other option you need to add must be paid for, that includes payroll, additional users, and enhanced customer service. Being around for three decades now, QuickBooks from Intuit sure holds a broad base of fans and supporters. With its recent updates, QuickBooks online have been claiming a bit more negative reviews. That relates to some of its most significant mark lines, such as ease and simplicity as well as its time tracking features, being dropped down. But that was surely made for a reason. For, instead of time tracking feature, the company goes now with a new feature called long-awaited project management. That among other regularly updated features including a new feature called QuickBooks capital. Nonetheless, QuickBooks online sure offers some of the most Advanced accounting solutions available. And with an unmatched number of integrations, they leave a core hearted fan with not that much to complain about except for a relatively poor customer-support service which is made for by more helpful community support. QuickBooks online includes three packages with a buy now and save 70% offer. 30 Days Free trial available. Its excellent user-interface and mobile app mostly define this accounting software. And with its comprehensive support of a whole range of accounting activities through fully customizable services, It became one of the top choices for a wide range of companies. The only shortage found was the lack of dedicated payroll Add-on. Something the company promised to solve by the end of 2017. 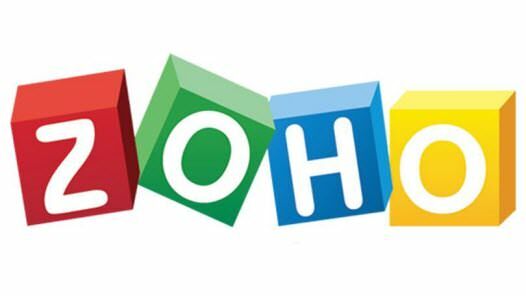 ZohoBooks offers a wide range of features that rivals the best players in the field and even tops them at some level. Starts at 9$ per organization per month and allows for 50 contacts/2 users (1 user one accountant) & 5 Automated workflows. Starts at 19$ per organization per month with upgraded functionalities including 500 contacts/ 3 users and 10 Automated workflows/Module. Starts at 29$ per organization per month and wit even more upgraded features such as unlimited contacts/ 10 users/10 Automated workflows/Module. Invoicing has never been easier. Freshbooks is a powerful invoicing cloud-based platform with project management capabilities. With world-class accounting features, this tool has become one of the most favorite and widely trusted accounting solution offering full support for both PC and MAC systems alike. With its mobile app that, although lacking a bit compared to the bigger platform version, is fully operational on iOS and Android. Project & team collaboration management. Shared estimations for projects & pricing. IOS & Android supported mobile apps. The only feature FreshBooks was found lacking on is batch invoicing, the ability to send same invoice rates to multiple clients, inventory management tools, and somewhat limited invoice customization compared to other solutions. The most friendly UI and exceptionally well custom supported FreshBooks still goes untainted nonetheless. The number 1 “Free” accounting software. 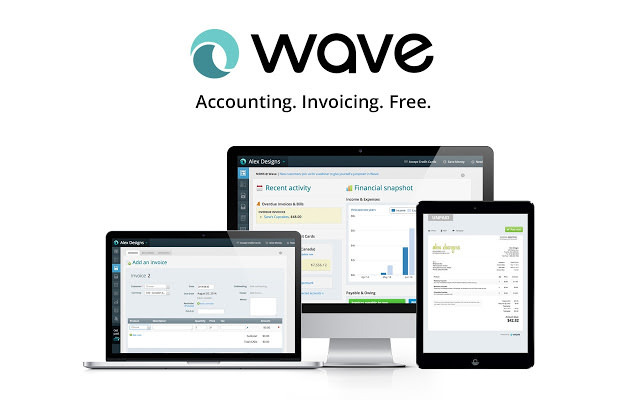 Wave is still brilliantly keeping its promise as an entirely free accounting software most suited for small sized business. Its trick lies in obtaining consistent revenue from its add-on services (payroll, lending, and credit card processing). Such deception would never succeed without a robust product behind the scene. That`s how Wave defines itself as, not just as totally free, but also as indeed one of the best & most robust accounting solutions available. Wave is fully operational as a cloud-based service or self-hosted through its downloadable software. It’s both PC & Mac supported, in addition to its newly released mobile versions for receipts & invoicing which are Android and iOS compatible. A Double-entry accountants` approved software. Direct integrations with PayPal, Shoeboxed, Etsy, Zapier, and ADP. Built-in Payroll service. (Payable service + US & Canada only). On mobile receipt scanning & approval. Credit card processing (payable service). Estimating and invoicing upon approval. Create & send an invoice on the go on iOS & Android platforms. Small business loans through OnDeck integration. (Payable service + 1 year in business and over 100,000 $ yearly revenue required). If there was anything, this incredible “Free” accounting software was lacking it will be the absence of a dedicated project management tool & the inability to track billable hours or inventory rates. Some reviews also stated an issue with customer support which is only available on the phone for set hours daily. Otherwise, the customer support team & technical agencies are well informed and offer fast response through email. The website has several resources as well, such as a knowledge base, a blog, user forum, getting-started guides, and video tutorials. The sage family goes back in history for even before QuickBooks times, which makes it one of the oldest accounting solutions available till today. Thankfully, they have been developing their services until Sage Inc. has become well known as one of the leading accounting solutions with some of the most complete and sophisticated accounting features that thoroughly covers the small business area and goes miles beyond. Perhaps, one of its most brilliant features besides being across accounting platform firstly dedicated for desktop usage, now offering cloud storage and data sharing service, is its inventory and stock management add-on which lets users automatically update stock levels and use audits and stock valuations to manage assets. Sage 50c offers seamless integration with Microsoft Office 365 as well which allows for extended usage of Microsoft tools. Note: Sage 50c is offering various accounting plans based on country and location, so make sure to review the respective plans thoroughly. Sage 50c was found lacking on recurring bills option, billable hours tracking, and creating purchase orders. Such shortage is a matter of consideration depends on needs and essentials for each business respectively. The New Zealand genius in professional financial & accounting solutions created by Cognito is here to put some massive weight challenge over its more prominent named alternatives AccountEdge and QuickBooks with its end to end capabilities and a quite appealing price for value planning. The cross-platform software offers lightning-fast performance beside a quite friendly UI interface, powerful yet simple to follow reporting, and extremely flexible inter-operability through its seamless integrations with most leading payroll, CRM or POS systems, and generic systems like FileMaker Pro, MS Office or MySQL. MoneyWorks gracefully covers every nuke and cranny concerning financial & accounting solutions for small, mid-size, or even enterprise levels, with a rich list of features divided among its five specialized products (CashBook, Express, Gold, Datacentre, & Now) beside its mark feature Multi-User networking which allows for an exceptional workflow. MoneyWorks is fully operational both on Mac & PC and available both online as a SaaS and on-premise. MoneyWorks Cashbook: (standard for all MoneyWorks products). MoneyWorks Now: (In the cloud). One might be wondering, are these guys capable of delivering what they promise?! And the answer is YES. MoneyWorks reported for being honest and quite capable, they are serving the range of 30,000 organizations over 60 countries globally. Recently operating in Australia under the name SGA software as Australian licensee for MoneyWorks. The award-winning software was acclaimed to provide the most potent account payable and real-time payment reconciliation services. Tipalti is one of the best B2B payment management platforms with lots of automated supplier management tools and fraud check protocols to ensure safe payment and validated customer information. The secret to Tipalti lies behind its ability to optimize payment to reduce finance management times registered as the most significant struggle of every accounting team out there. Tipalti turned what used to be a complicated and confusing process into a routine day-to-day task, to the utmost satisfaction of many prominent businesses around the world. The platform is cloud-based/ Mac & PC operational, with the ability to accept payments with over 120 different currencies and supporting six different payment methods (PayPal, Wire, Prepaid Debit Card, US ACH, Global ACH, or Local bank transfer) which make the payment process a breeze. Tipalti is available in more than 190 countries around the world. As profound and elevated Tipalti is, it has a serious issue that some lighter belt players managed to supply. Its only account payable, it lacks the tools to create account receivable processing. Other than that, there were minor issues such as pricing plans are not available directly; you need to make contact to reveal this part. There is also no live support, yet their teams are easily reachable by phone and email. Each one of these platforms is a pressing force to reckon when it comes to financials and accounting, as most of them are cloud-based which the modern trend for software is these days, some were Mac dedicated with best features ever. Just as everything around us, perfection is only a theory, yet with these products we made sure we nearly touched Perfection. It’s up to you to try them out and see for yourself if we were successful in our claims.